In a time of heaviness around recent events in Charlottesville and Barcelona, this interview with Carly Palady is offered as a healing balm of light, inspiration and uplifting energy. 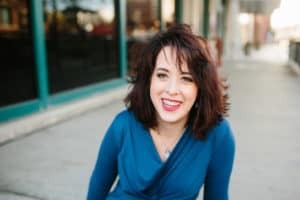 Teacher, therapist, coach, consultant and former Alaskan tour bus driver – Carly is helping other visionaries leverage their gifts and talents in online programs and businesses so they can get their message out into the world in a way that feels transformational and impactful. To get the inside scoop on the upcoming Seattle workshop with Jennifer and Carly on marketing, messaging, persuasion and influence, email roamhowl@gmail.com and you’ll be the first to know details. Mapping your ideas into a protocol so that you can leverage your gifts and talents to help others in a joyful way. The winding start of Carly’s career path from landscape gardening in her small hometown to making coffee and singing jazz to creating art to leading hikes through REI to teaching English in Chile and Argentina to running bus tours in the wilds of Alaska. Carly’s continued journey into cognitive behavioral therapy, volunteering for Americorps, getting a masters degree in social work, mental health work with youth, mental health therapy through the federal government, program development for universities, and launching her own coaching practice in 2017. Why the stories of our childhood are important in that they imprint on us for better or worse. The importance of looking at the process, how did that experience impact you, why and what did it teach you — when you weave those teaching experiences together, you’re left with a way to inspire and impact other people because you’ve had these experiences that no one else has had. Ask yourself: Who am I? What have I experienced? What do I have to give to the world? What do I have to teach? This creates a purpose and then you’re paying it forward and you start a chain reaction of positive influence. Creative ways to pay it forward to random strangers. The 2 biggest challenges Carly has had to overcome (1) Navigating cerebral palsy in her legs, bullying she endured and her anger as a result, and (2) Leveraging her story of her short-term learning disability Temporal Fading Memory, which renders her unable to learn by reading, by becoming a master of creating strategies and mapping systems. Why Carly is most of her relationships with faith and family. Carly’s definition of success — getting to a place where we openly accept who we have been, who we weren’t, moving forward with the knowledge that we’re going to make the best of our lives in service of others and the to betterment of the communities around us. Also, if you like what you hear, please consider leaving a review and rating. I love to hear from my listeners and welcome your comments and suggestions. Let me know what you think–I want to connect with you!